You are here: Home / Gift ideas / 4 local and handmade businesses to shop from during the holiday season. 4 local and handmade businesses to shop from during the holiday season. Over the next week I am taking part of a blog round up across Canada to showcase all of the local and handmade businesses that I love, support, and want to encourage people to shop from this holiday season (and always). Being a part of Entrepreneur Mom Now, a peer mentorship for women entrepreneurs has helped to connect me to many local businesses. 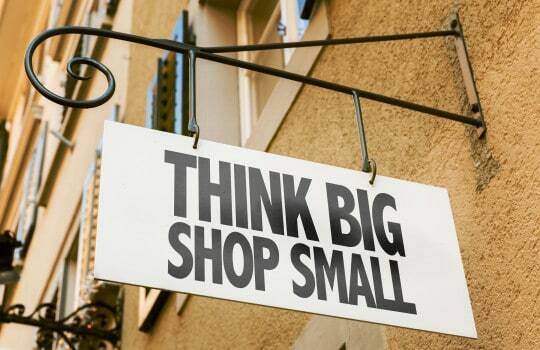 Now more than ever it is important for me to shop locally whenever possible. Check out these awesome businesses! With all of it’s items lovingly created in Edmonton, AB, House of Koopslie makes items out of high quality, eco-friendly bamboo fabrics and uses innovative designs to create fleece hats, tanks, boot cuffs, and their famous headbands that are so popular you can find them all the way in Japan! You can find their items at several local businesses throughout Edmonton or you can shop online 24/7. Enter to win a one of a kind, limited edition headband. Based out of Edmonton, AB, CoverBoo Couture helps nursing moms stay both fashionable and discreet through its innovative nursing cover design that also doubles at a scarf. No need to worry about if you remembered to pack your nursing cover in the diaper bag, because you’re already wearing the accessory! We invite you to check out our small business, Mulhurst Bay Books and Gifts in Mulhurst Bay on Pigeon Lake. Free coffee when you come.